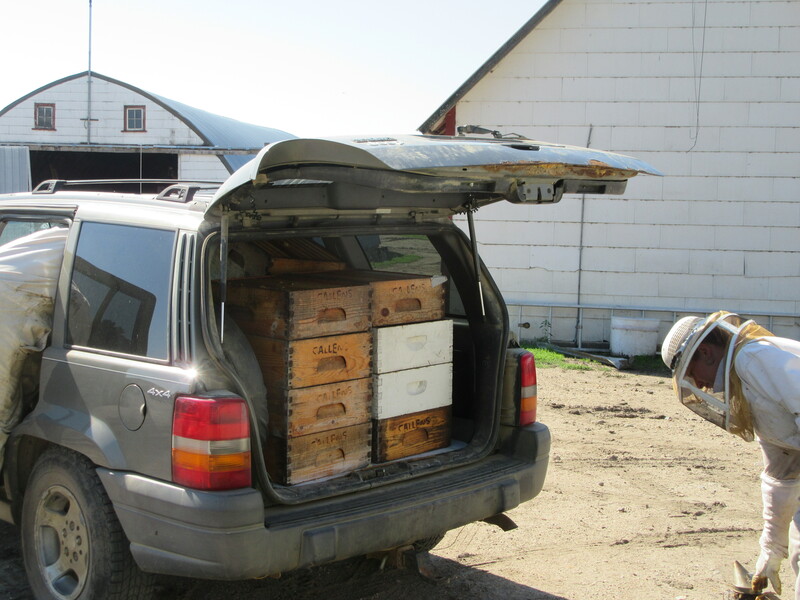 Very heavy honey super being transported to the jeep. We ended up extracting honey just once this year. Normally we extract at least two to four times during the summer, but didn’t manage to extract until the very end of August. 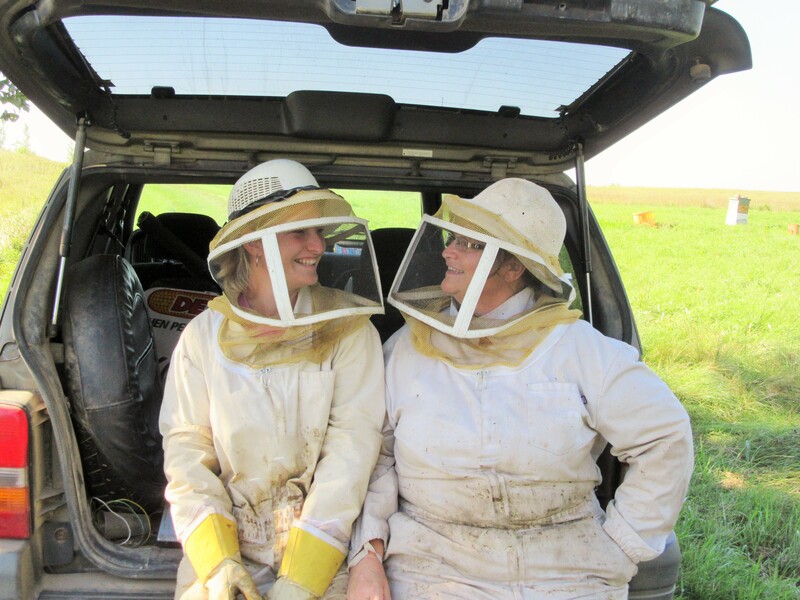 The Organic Prairie hog operation and new building projects have kept us super busy! Silvana and I sharing a funny comment!! Bees and I don’t get along very well. 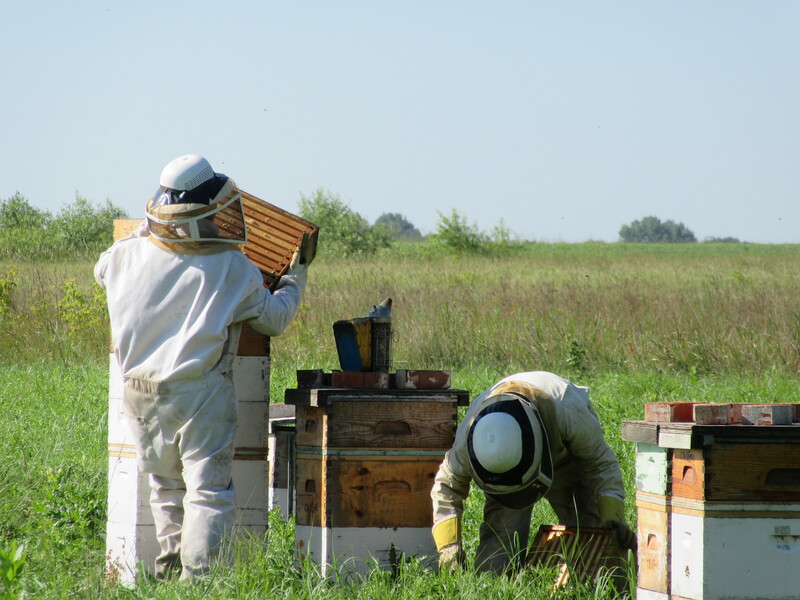 This year we had our bees here on the home place and over at Fred’s grandfathers old farm which is in CRP land. There were a lot of hives here and some of the little children were getting stung as they played in the yard. 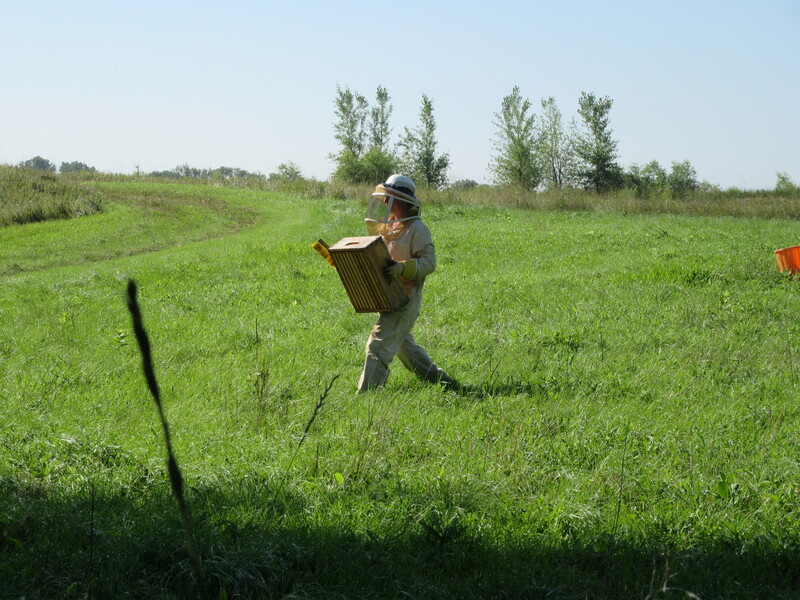 Next year we will most likely move more hives over to the other farm. Silvana, Bella and Marisa extracted all of the honey! Stop in to Brad’s Market in Minneota, Mobergs Meats and Jim’s Super Value in Canby for a sample of pure honey with not one single additive! Taste the difference! Live, love and laugh……….sweeten it all with a little honey! 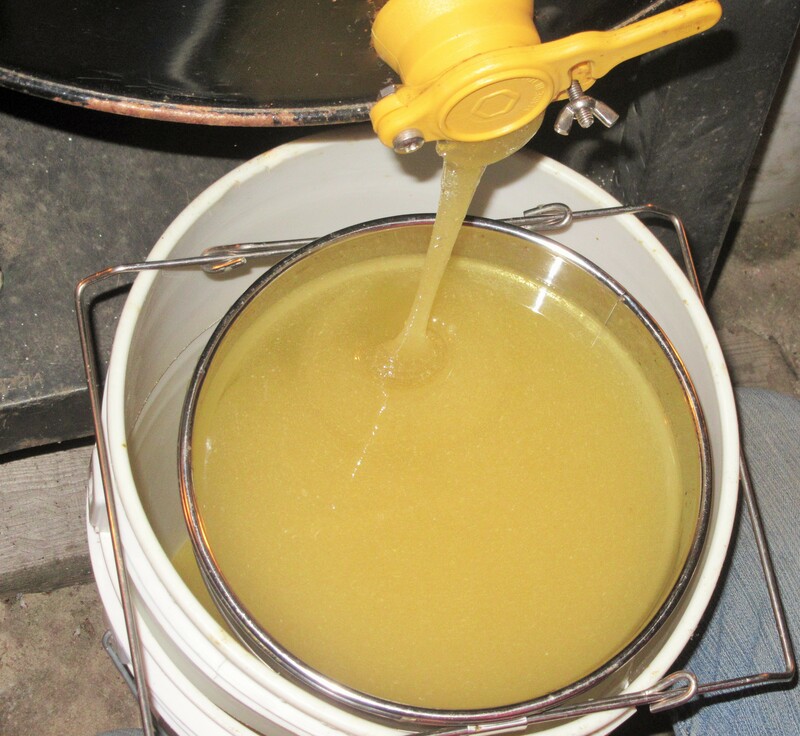 This entry was posted in BEE NEWS AND UPDATES and tagged Callens honey farm. Bookmark the permalink.